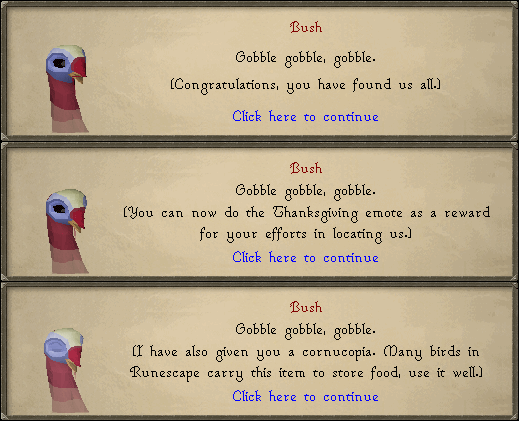 This year featured the first Thanksgiving event in RuneScape. 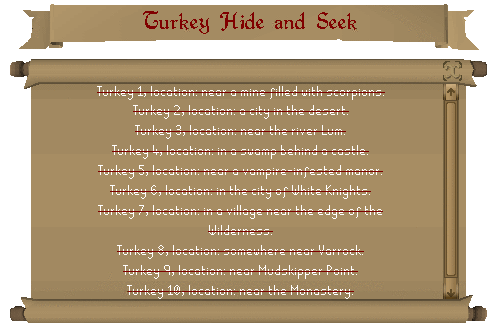 In this event, players had to locate ten Turkeys disguised as ordinary objects around RuneScape. Note: This event was only available from 26 November 2008 until 1 December 2008. Talk to the Cook's Brother found in the Lumbridge Castle kitchen. He tells you that he and his brother imported a new bird for the Thanksgiving meal, but unfortunately one escaped and liberated the others. This is why he needs you to help track them down. He will then give you a Turkey Book, which gives hints as to where the turkeys are located. This is optional and you do not need to talk to the Cook's Brother to participate in Hide and Seek. Note: This list follows the order of the Turkey Book. Also, Turkeys may wander, so if you do not see the Turkey, look around the area. Entrance to the Al Kharid mine. Inside the Al Kharid general store. Outside Farmer Fred's sheep pen. Note: He may be trapped inside the sheep pen. 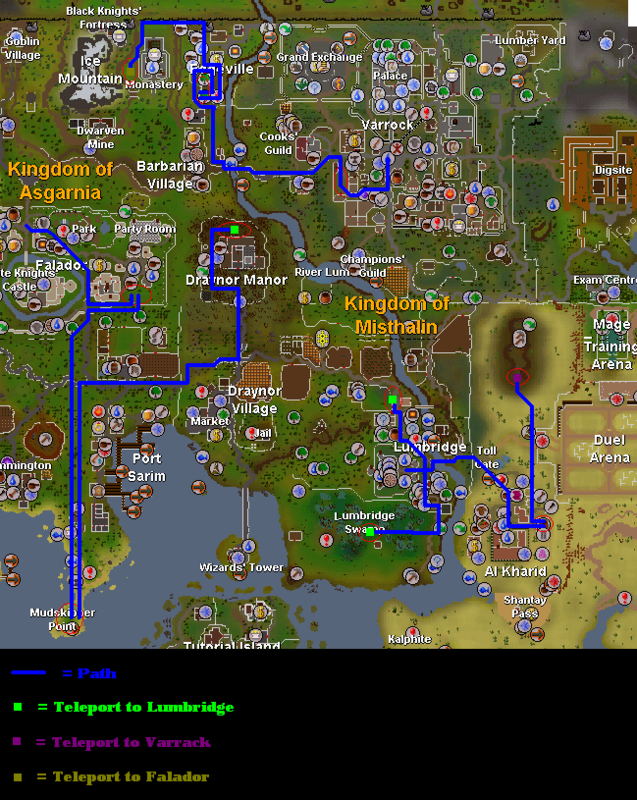 In the middle of the Lumbridge Swamp. Behind the houses east of the Mining Guild. Near the yew trees in Edgeville. Near the apothecary in Varrock. There are two different methods in which you can complete this task, by walking or by teleporting. Teleporting is obviously the faster of the two. Below are three maps in which you can find all of the Turkeys the quickest. 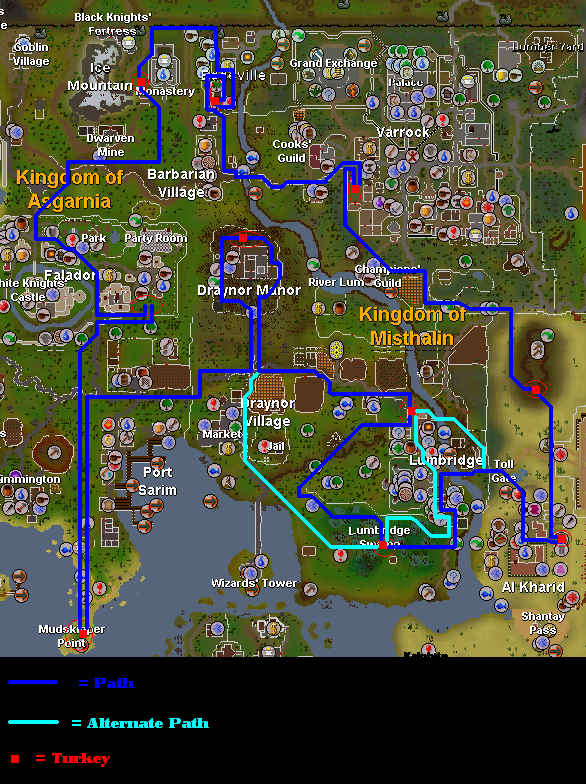 You can start anywhere, but I will be starting at Lumbridge. 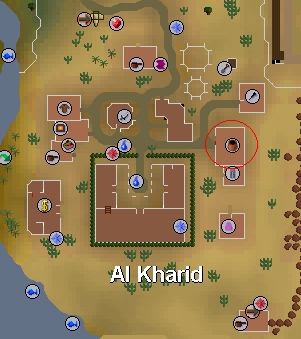 Your first turkey is in the Al Kharid general store. Go north and find the one near the mine. 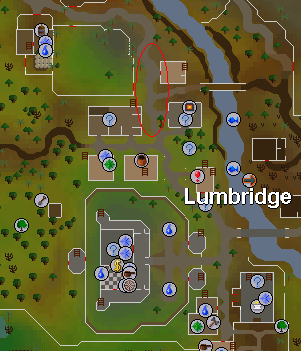 Go to the west side of Varrock and find the Turkey near the apothecary. 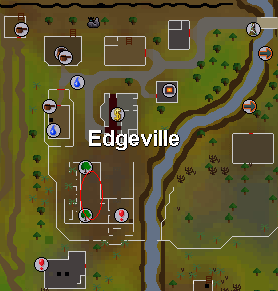 Keep going and find the one in Edgeville, and then the one in the Monastery. 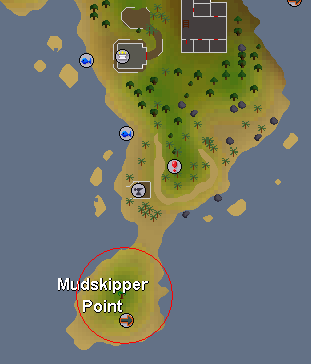 Go south to the one in Falador, and then even farther south to the on at Musa Point. 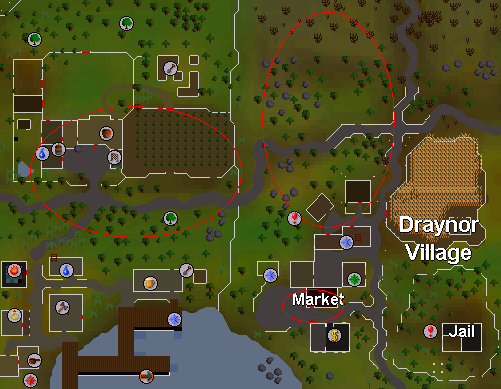 Head back north to the one behind Draynor Manor. You now have a choice on which way to go. 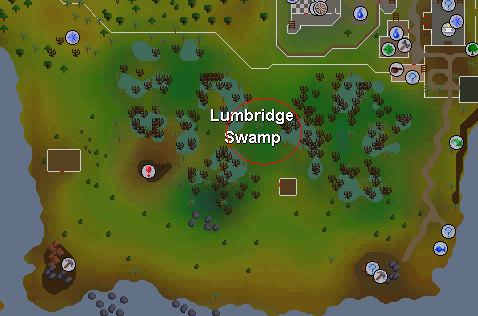 You can either go down to the Turkey in the Lumbridge Swamps and then the one outside the sheep pen in Lumbridge, or go to the one outside the sheep pen in Lumbridge and then the one in the Lumbridge Swamps second. Either way works. Congratulations, you found all of the the Turkeys! Go north and find the one outside the sheep pen. Teleport back to Lumbridge and find the one in the Lumbridge Swamps. 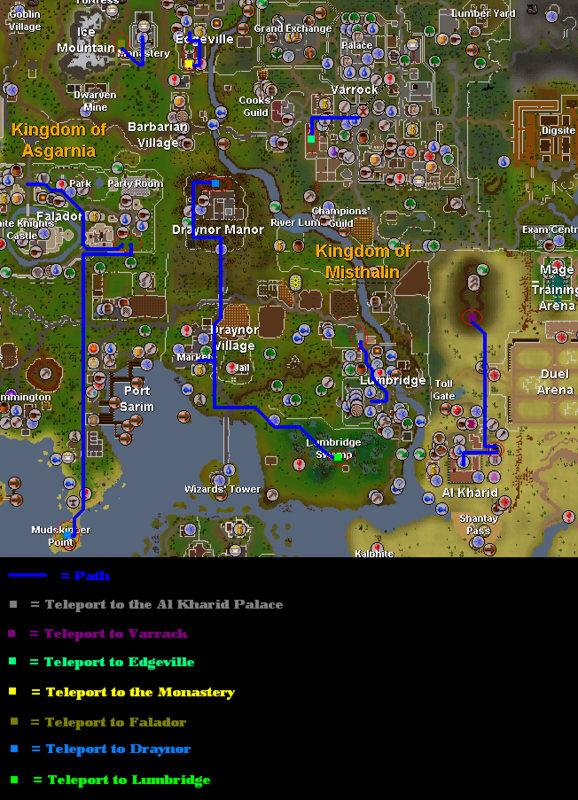 Teleport back to Lumbridge and head to the Turkey in the Al Kharid general store. Proceed north to the one in the mine. Teleport to Varrock and find the one near the apothecary. 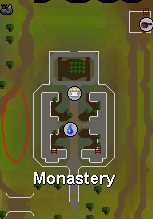 Walk to Edgeville and find the one their, then walk to the Monastery and find that one. 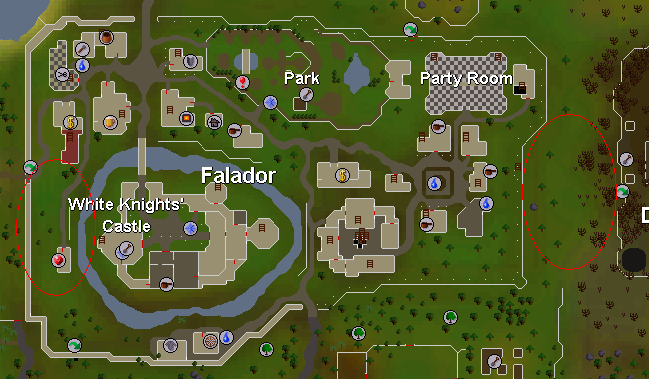 Teleport to Falador and find the one their, then go south to Musa Point. 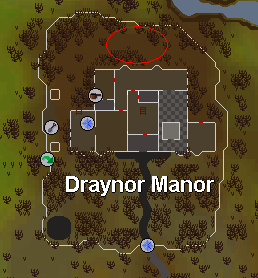 Go back north to the Turkey behind Draynor Manor. Congratulations, you found all of the Turkeys! Go north and find the one outside the sheep pen. Teleport to the Al Kharid palace via a glory and find the Turkey in the general store. Go north and find the one near the mine. 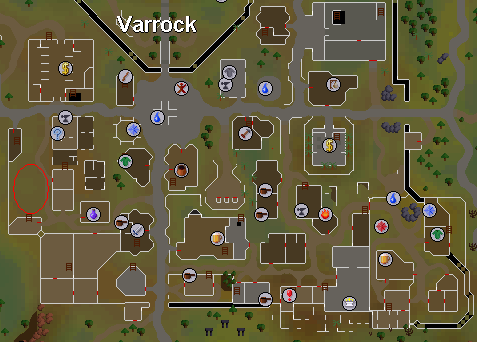 Teleport to Varrock and find the one near the apothecary. 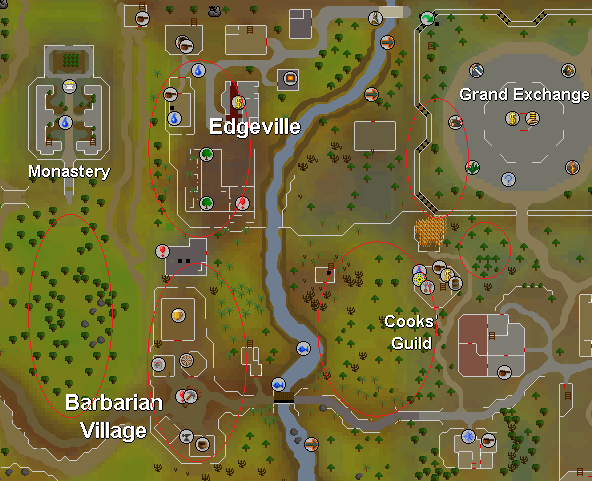 Teleport to Edgeville via a glory and find the Turkey there. Teleport to the Monastery via the Bracelet of combat and find the Turkey there. 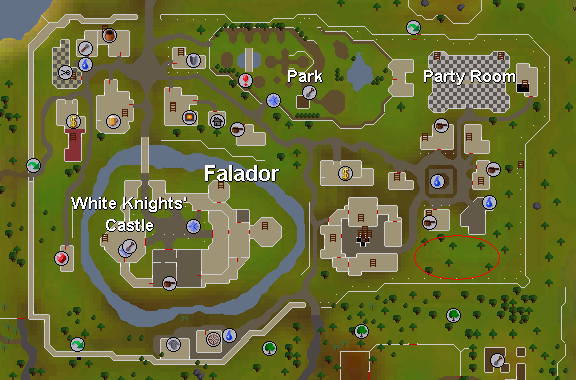 Teleport to Falador and find the Turkey near the Mining Guild. Go south to the Turkey on Musa Point. 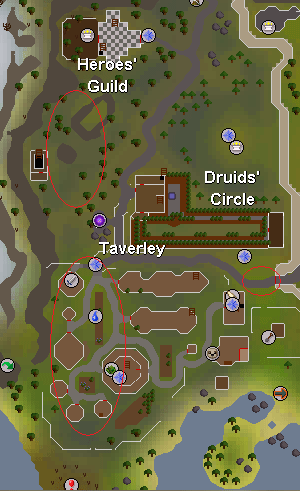 Teleport to Draynor to find the Turkey behind Draynor Manor. 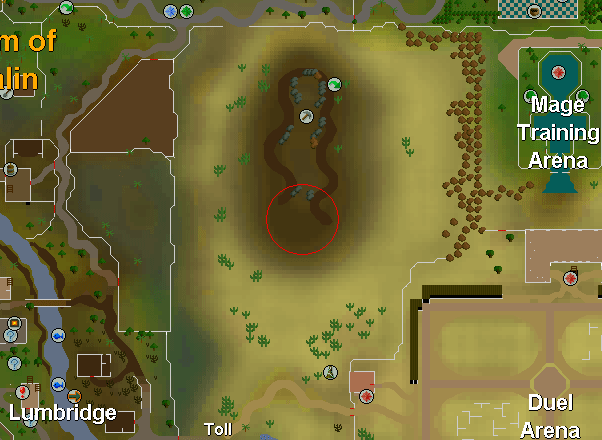 Teleport to Draynor again and find the one in the Lumbridge Swamps. Congratulations, you found all of the Turkeys! Once you have found all 10 turkeys, the last turkey you find will teach you the Give Thanks emote and give you a cornucopia. If you have already received a cornucopia, you will see a different message. This can store food that heals up to 140 Life Points. Birds, such as seagulls in Port Sarim and birds like the ones you can find on Karamja and Ape Atoll, will drop the cornucopia. You can get the Give Thanks emote and cornucopia quicker by killing turkeys than you do by participating in Hide and Seek.